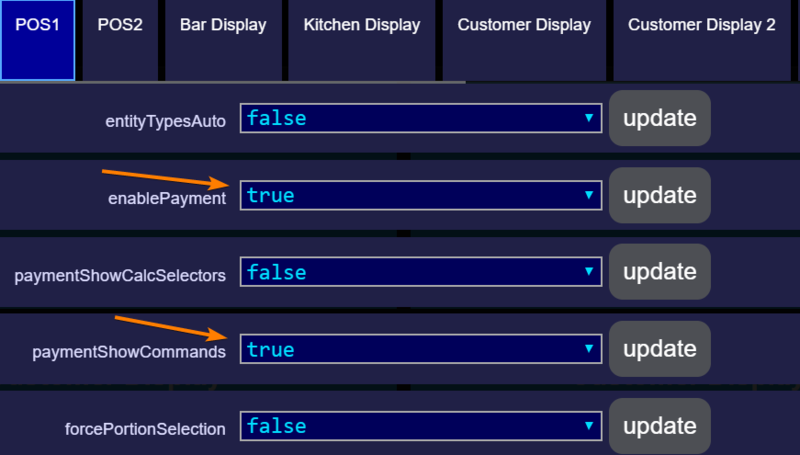 Set enablePayment to true and optionally set paymentShowCommands to true to enable Automation Commands mapped to Payment Screen. 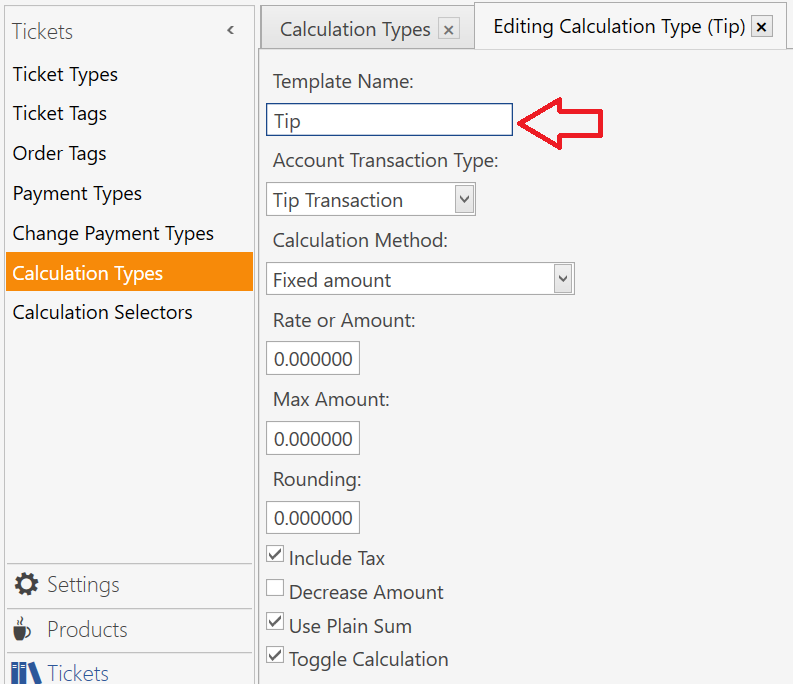 NOTE: Calculation Selectors can also be enabled, but they will not function, so it is best to leave them disabled. 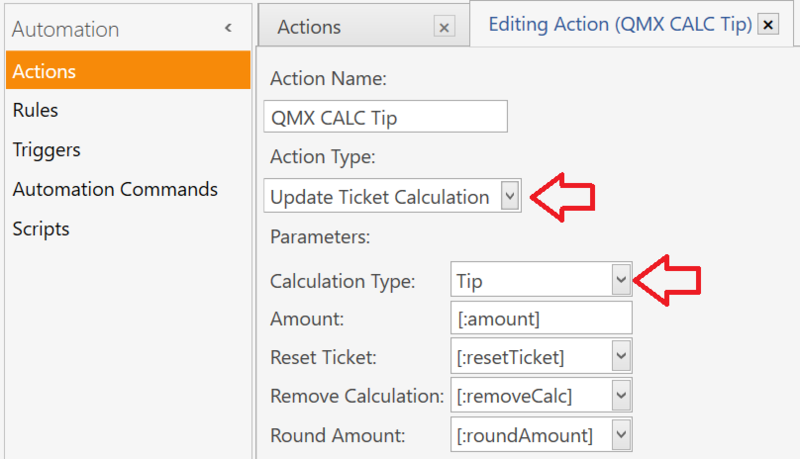 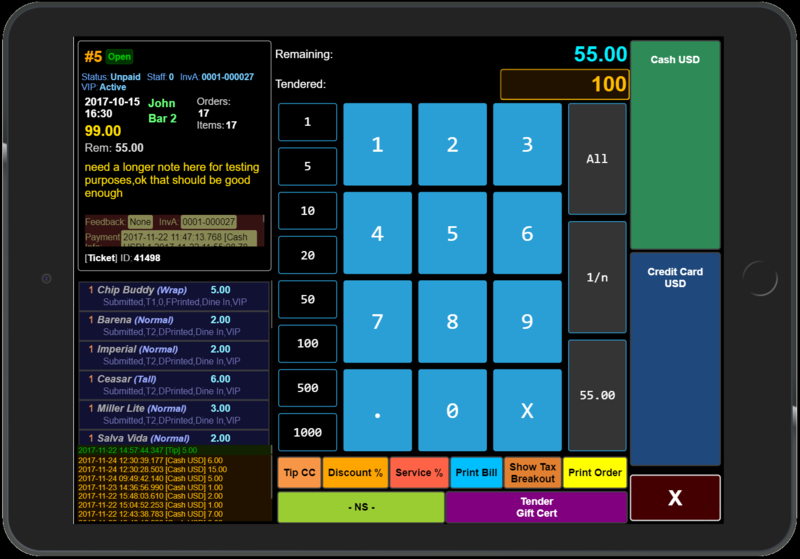 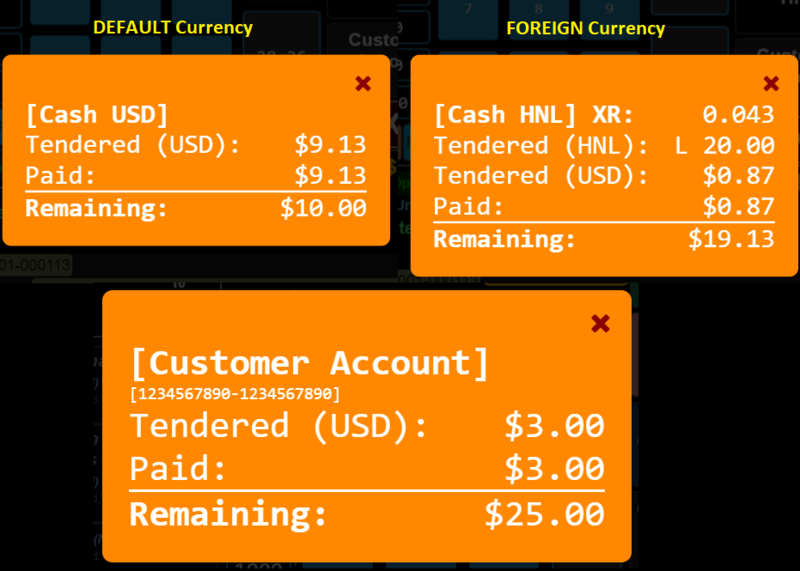 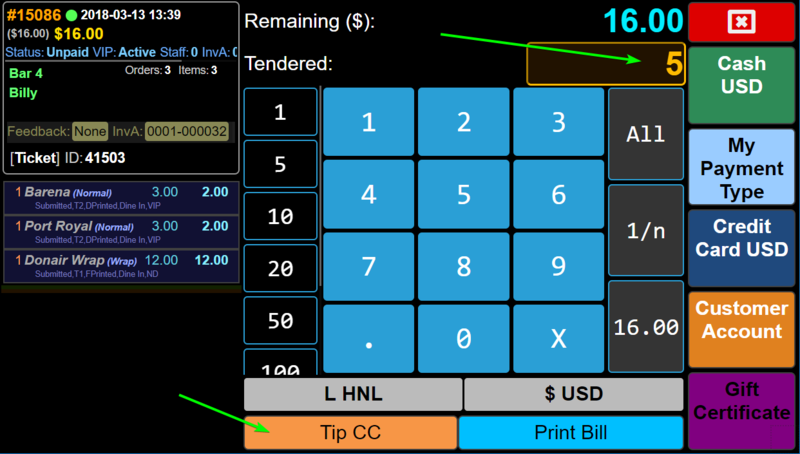 Automation Commands mapped to Payment Screen can appear in the QMX Payment Screen. 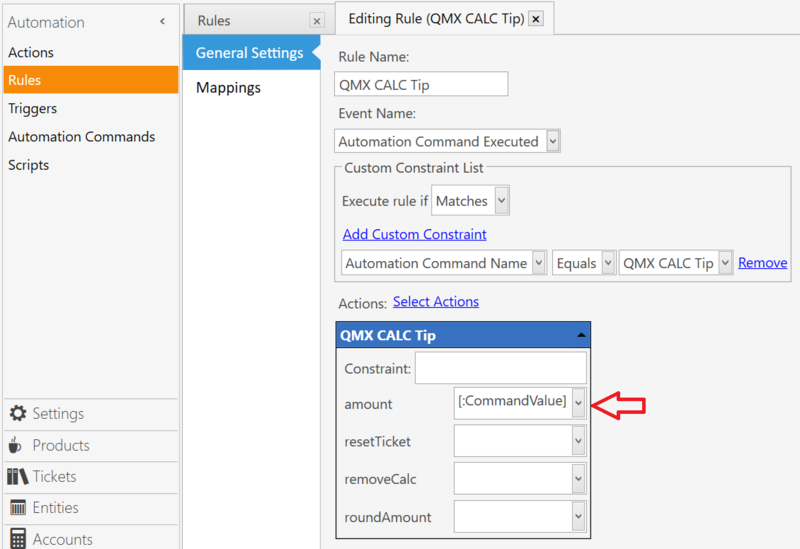 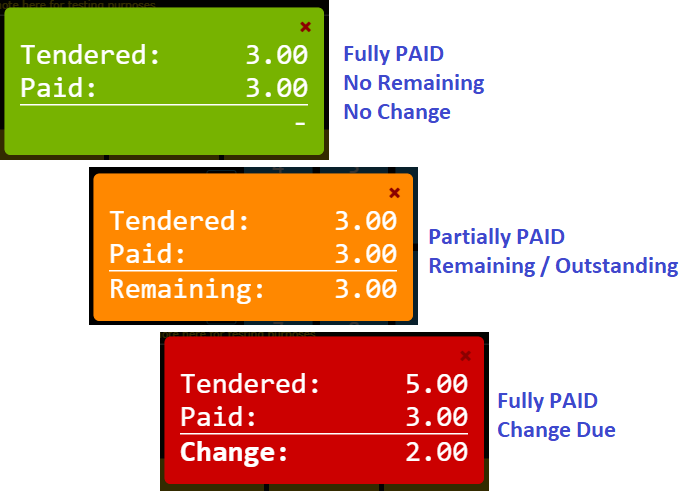 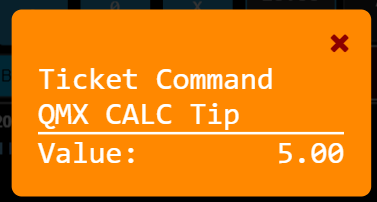 The Tendered amount is used for the [:CommandValue] in the Rule that handles the Automation Command.